A fun and musical take on Twelfth Night. Using scenes from Shakespeare’s text, and music from the Renaissance period, this one hour edition of the classic play encompasses all the magic, comedy and romance of the piece. Using scenes from Shakespeare’s text, and music from the Renaissance period, this is a one hour edition of Twelfth Night encompassing all the magic, comedy and romance of the piece. We often forget that music was a vital part of Tudor performances, not least to keep the audience occupied and under control! For those who love the play, this is a new window on some of its most famous scenes and for those with no prior experience of Shakespeare, it is an accessible and exciting introduction. 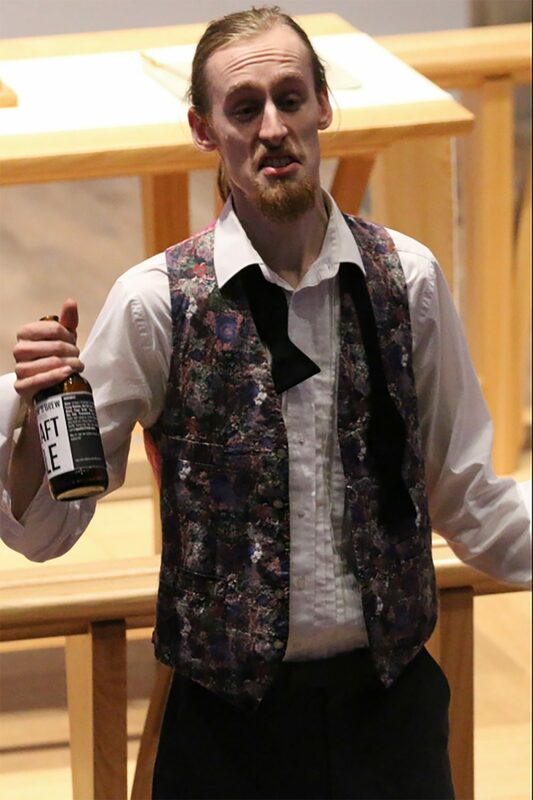 The Willmore Singers have created a series of one adaptations of Shakespeare plays including versions suitable for schools, their priority is to widen and promote participation in classical theatre and music and to find new and innovative ways to stage opera, plays and multi-media performances. They are a young and vibrant chamber opera company who tour nationwide. The Willmore Singers can be found online here.